The good news is, the number of burglaries in England has fallen. The bad news is, so has the proportion of arrests for burglary. Recent statistics released by the ONS reveal that while the number of burglaries overall fell during 2014/15, the proportion of arrests also fell from 16 per 100 burglaries to 14. This is further evidence that many burglars are able to get away with their crimes due to police cut backs and the rise of other types of crime that are monopolising police resources. Back in November we wrote about figures released then that showed 87% of burglary victims failed to have a single stolen item returned to them. However, it may not be quite as bad as it sounds as these figures don’t allow for arrests for multiple crimes; these would only count as a single arrest but could be related to several break ins. Also, almost half of these burglaries concerned non-domestic properties such as garages, sheds and out buildings which can often be even more difficult to solve due to lack of witnesses and less likelihood of being disturbed in the act. 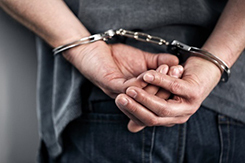 The figures of 14 arrests per 100 burglaries is the national average for the whole of England but regionally, the outlook is better than that here in West Yorkshire where 4460 arrests for 24,364 burglaries gives us an arrest rate of 18.3%. Our neighbours in North Yorkshire fare even better with an impressive arrest rate of 29.5% (the best in England along with Cumbria and Northumbria). Sadly, South Yorkshire and Humberside both have a below average rate of around 12%. The area with the worst arrest rate is the West Midlands who only manage a poor 9%. You can see the full interactive map here. Victim Support, a charity that we support personally, has responded to the report saying how important it is that people believe that the police take burglary seriously – something that is not borne out by these figures. Do these 4 things and your home will be considerably more secure than most of the homes in your neighbourhood. To speak to us about improving your home security please call us on 0345 833 5543.